Understated and elegant: the iRizer is perfect for those times when you don’t want to hold your iPad — or can’t. 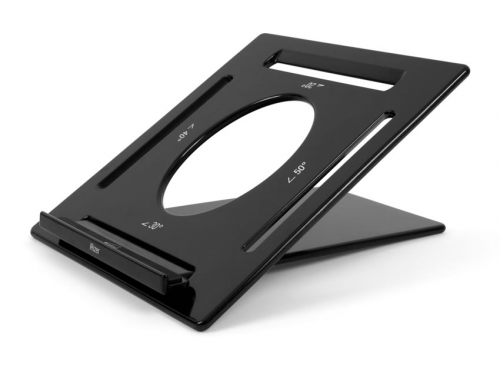 It’s rock solid stable, has a wide range of viewing angles, and packs flat for travel. Greener than it looks: Surprisingly strong and light, the iRizer is made from a special organic composite material, that contains 45% plant fiber – thereby reducing its carbon footprint. 5 viewing angles — portrait or landscape: The iRizer adjusts to a very wide range of angles, from a very low 20° — perfect for typing on the touchscreen — to a very vertical 70° that’s ideal for desk use. In total, you have five angles to choose from: 20, 30, 40, 50, and 70 degrees. Beautifully understated: One of the best things about the iRizer is that it’s mostly invisible when you’re using it. All you see is a thin black strip along the bottom of your iPad. It just blends nicely into the background. No distractions. 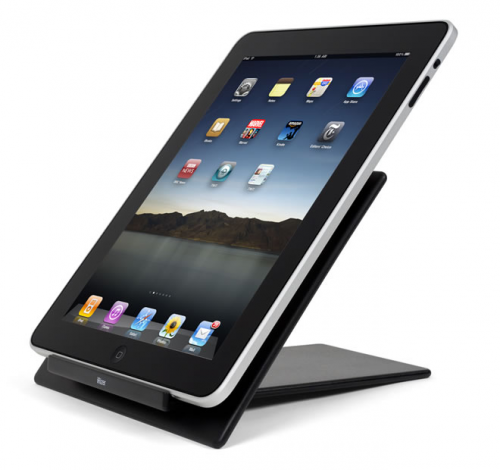 Case friendly: The iRizer also works great with iPads in cases, skins, or bumpers. Packs flat for travel. 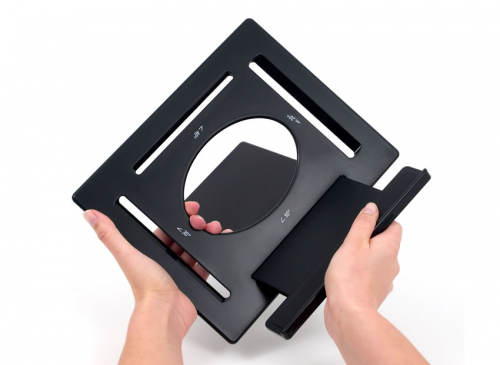 The iRizer’s two thin plates fit neatly together, and into its soft cloth carrying sleeve. The whole package is less than 1/2 an inch thick (11.5 mm). Packs flat for travel: If you want to use your iPad with a keyboard, you'll need a stand. 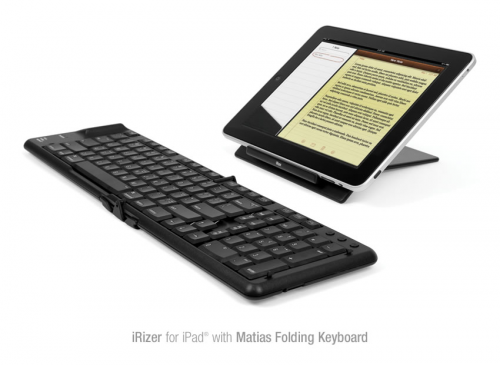 And if you need a portable keyboard, our Matias Folding Keyboard is a great option.